There are two things that came together to make these pancakes: my love of all things cornbread and the fact that I now live in a state that has a citrus season. The latter statement has been a dream of mine, one frankly I never thought would come true. While my dreams of having a backyard full of citrus isn’t a reality, the markets and friends’ yards are full of lemon, orange, and lime trees. It is absolutely lovely. The recipe for the lemon curd comes from my friend Kathryn (aka Cookie & Kate). I’ve had this curd recipe saved, just waiting to be used. I’ve always been a bit removed from the idea of curd, mainly because when I worked at the bakery, lemon curd was my nemesis (you laugh, but it’s unfortunately true.) Usually one of my coworkers would make the curd but on the days I was tasked with the project, I would almost always fail. It’s darn near impossible to make curd while multitasking (I’d burn the bottom every time.) However, in the low-stress environment of my kitchen, this naturally-sweetened lemon curd came together quick and easy. 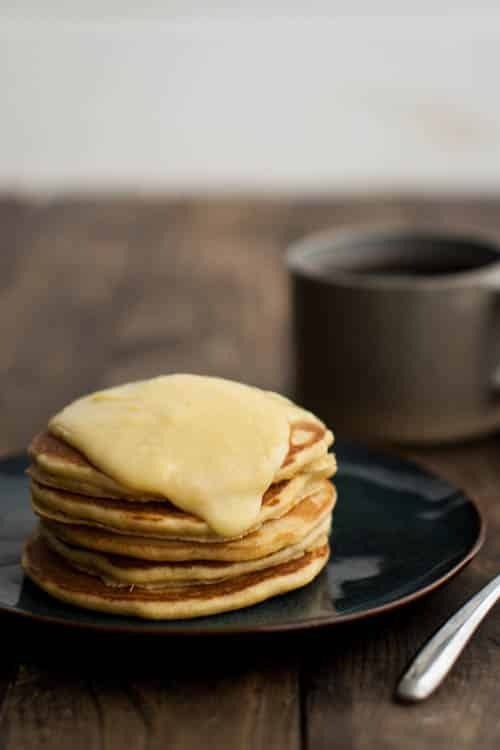 I should mention if curd isn’t your thing, these pancakes are delightful when simply topped with a pad of butter and a drizzle of maple syrup. That tends to be how I eat my cornbread anyway and the using the cornbread flavors in pancakes just means I don’t have to wait the 30 minutes cornbread usually takes to bake. Make lemon curd according to directions. 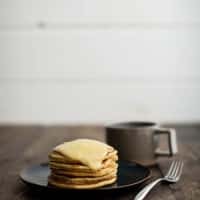 To make pancakes combine flour, cornmeal, baking powder, and salt in a bowl. Give a good stir to combine. In a separate bowl, whisk together eggs, maple syrup, oil, vanilla, and milk. Stir in to pancake batter, just until combined. Add more milk if needed to thin batter. *I used Kathryn’s lemon curd recipe with the only change being I used maple syrup in place of the honey. Also, using a juicer, I was able to get more than enough lemon juice from 4 meyer lemons. Can there ever be too many pancake recipes? Never! So thanks for sharing! Curd is DEFINITELY my thing. I love all varieties of it, and I especially love it on pancakes!! Oh how jealous I am of your citrus season!! Mmmm I love anything cornbread! These look soooo good and I bet they be delicious with a savory topping too! Yum! I love the winter citrus at this time of year; it’s such a lovely way to cheer up the gloomy days. The curd sounds like it goes perfectly with the pancakes too, so delicious. I’ve never seen such gorgeous photos of lemons before!! Simply stunning! 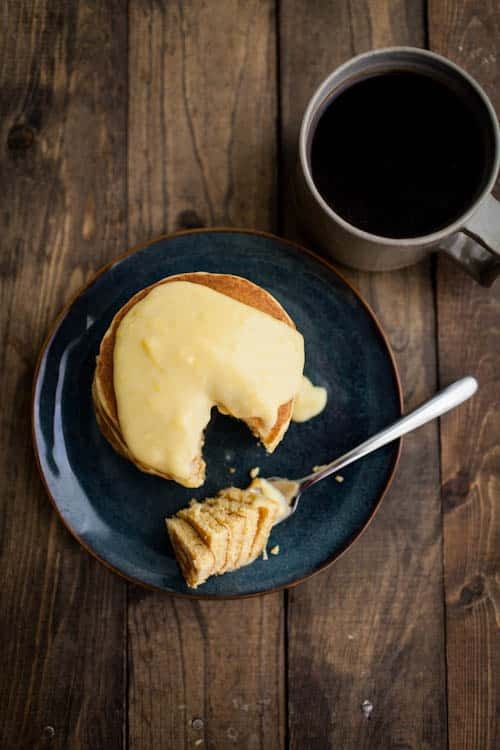 lemon curd is probably the most wonderful thing on the planet – and on top of corn bread sounds divine. Woah photos! Love all these. Hopefully you are enjoying those California meyers 😉 They’re my favorite at this time of year. I totally eat leftover cornbread for breakfast sometimes so I know I would love these and…. 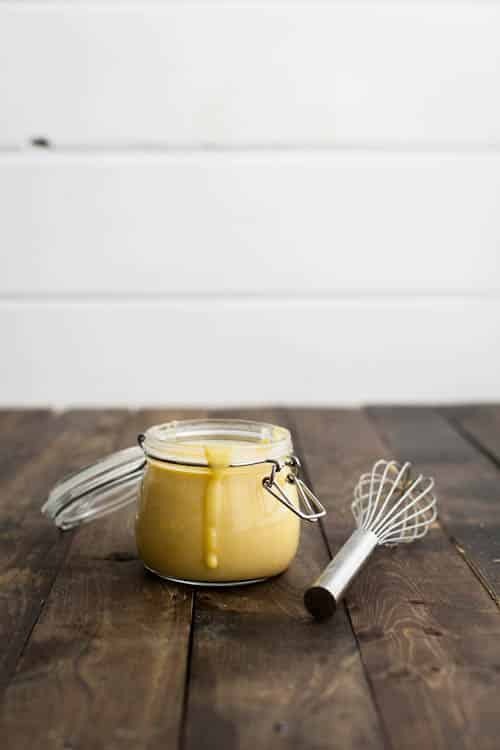 maple lemon curd – that just sounds divine! 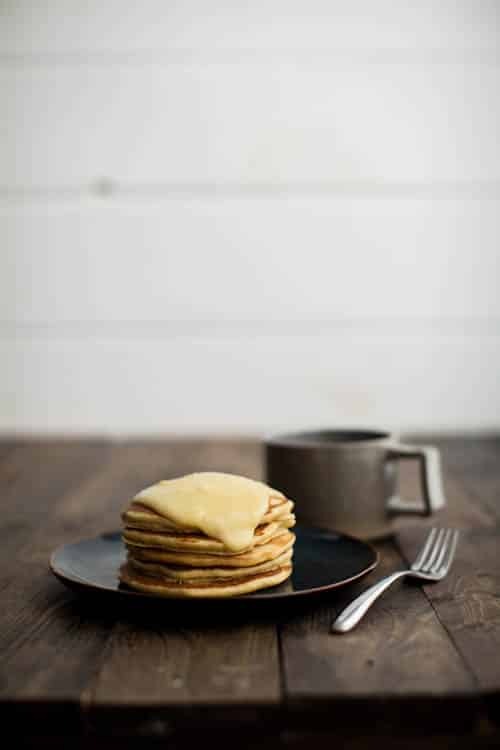 Oh funny, I clicked on the post because I loved the sound of corn pancakes with lemon curd, and saw that you used my recipe! I’m so glad it turned out well for you, friend! I made these for brunch this morning (minus the lemon curd) and they were delicious! It was the perfect amount for two people. Thank you! Hi Erin, I’ve made these pancakes before and loved them, but today I made a gluten free, dairy free version. My husband avoids neither gluten or dairy, and he loved them! We both scarfed them down and then he happily cleaned up the kitchen. A big success! I used Arrowhead Mills AP GF baking mix for regular AP flour, almond oil for the melted butter and rice milk instead of whole milk. I needed quite a bit more rice milk to get the batter runny enough, not sure why. Anyway, they were puffy and beautiful and delicious!! Thank you! Oh, and someday I’ll try making lemon curd. Today was maple syrup.